New Johnny Depp Transcendence Movie Highlights Datacenters of Future? There is a common saying that “what we think about becomes our reality.” Time and time again, we witness movies portraying future technologies or events which become our reality. The movie Transcendence featuring Johnny Depp is no exception. Transcendence takes a hard look at our future digital world in which Artificial Intelligence (AI) takes on human awareness. It examines the consequences, threats, and dangers of Artificial Intelligence and the Internet of Everything. It imagines a world where even the smallest of particles are connected to the Internet and controlled by an Artificial Intelligence. Seem farfetched? It might not be too far off and here is why. The movie highlighted the potential of technology breakthroughs in the realm of data centers, nano technologies, the Internet of Everything, and Artificial Intelligence. It portrays what futuristic data centers may look like with an emphasis on cooling, power, green technologies, security, and large scale remote facilities. The Brightwood Data Center featured in the film was located five stories below ground. It was constructed underground to control the temperature of the facility. We see this industry trend in the construction of data centers throughout the world today. Some recent examples are the SubTropolis Technology Park’s LightEdge data center and “The Bunker” data center located in Kansas City, MS and Montgomery, TX. Another interesting aspect of the construction was the use of an army of next generation solar panels. This is yet another trend that we are seeing within the industry with the adoption of the so called green data center. It is all about power efficiency, utilization, and alternative power sources. We all know that solar and wind are the energy sources of tomorrow and that data centers are one of the largest consumers of power that exist. 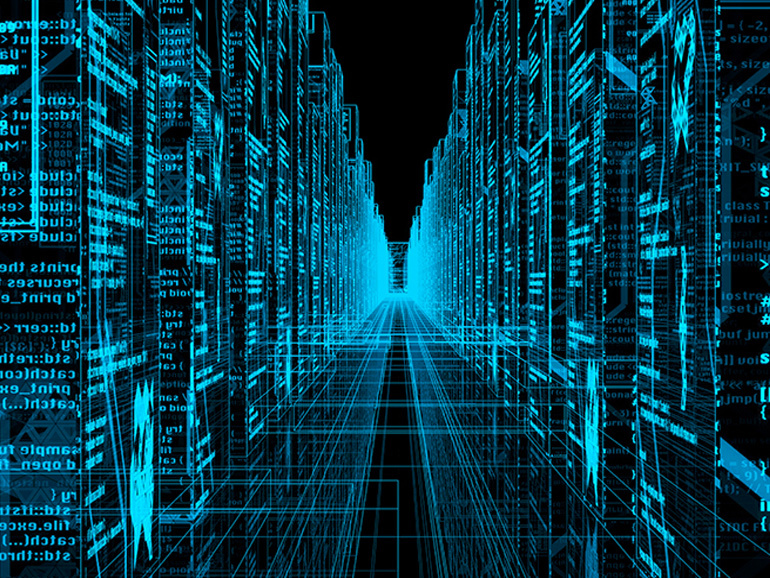 Data centers today are built on a larger scale than ever before. The Brightwood Data Center featured in the movie is the perfect example of what a futuristic data center may look like. The data center was enormous and was strategically located in a desolate city off of the beaten path in the United States. This is a trend that we are seeing in new data center construction and particularly the NSA data center located in Utah. In addition to the heavy emphasis on data centers, Transcendence also examined ground breaking technologies including nano technologies and the concept of the Internet of Everything. It was truly amazing to visually see the potential of nano technologies and their applications. However, it also opened my eyes to the potential threats that exist with the technology. In the movie, nano technologies could be constructed and controlled. They were used to heal disease in people, regenerate plants, and create rain storms. If you really think about the application, they could be used for both good and evil. When you think of Siri you can begin to understand all of the potential applications of Artificial Intelligence and what is in store for the future of technology. We are just scratching the surface on Artificial Intelligence. 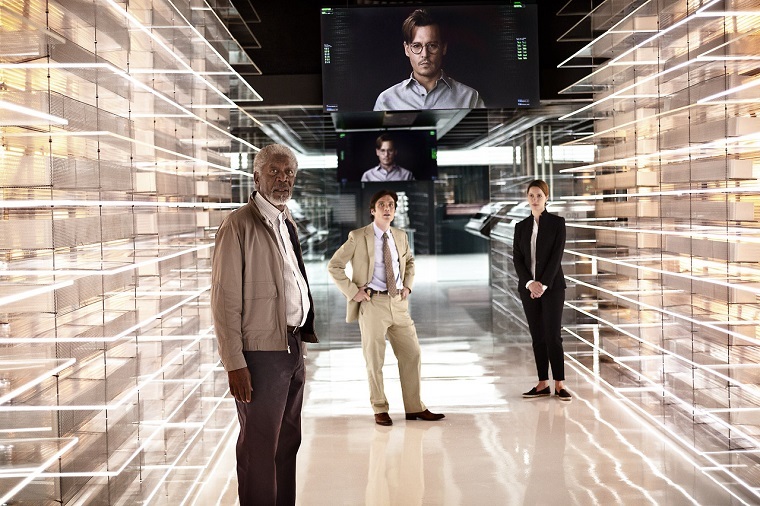 The movie takes AI a step further with the so called “transcendence” of human emotion, awareness, and consciousness into the computer realm. Transcendence maps the human brain to a computer and creates an artificial awareness with a consciousness. The only problem is that when you create a computer with the characteristics of human awareness it becomes difficult if not impossible to control. Overall, we thought that the movie Transcendence was good, and that it showed just how powerful data centers are going to become in the future- and that future is now. We’ve come a long way since HAL, and with Transcendence coming out hot on the heels of last year’s Academy Award winning (Original Screenplay – Spike Jonze) Her (a woeful tale of when the lonely among us interface with AI.) It opened our minds to what the future may have in store for us in terms of technological advancements and what is possible for data centers, nano technologies, Internet of Everything, and Artificial Intelligence. The movie may not be Depp’s finest work, but it is shining a public light on our hypothetical future. For all things cloud, internet or data center related: go to datacenters.com or call one of our data center specialists at (877) 406-2248.